1. GPS Tracking System for personal and fleet, 2. GPS/Bluetooth Wearable Sport Devices, 3. IoT Products(3G/4G, NB-IoT, Lora, Sigfox), 4. GPS Modules and Receivers. We have strong confidence and are prepared for the upcoming IoT world! The founder of GlobalSat is Mr. Prince Cheng. He is also the Chairman of the company. Having over 30 years extensive experience in electronic and communications industry, he had ever served at General instruments, Ampex Electronics, OAK Electronics, Universal Electronics and DYTcom communications for the past 30 years. He worked at various positions as engineers, engineering managers, engineering directors and presidents. Mr. Cheng received the Award of Excellence from U.S. Sprint in 1998 in appreciation of his contribution to U.S. Sprint Corporation in communication products. GlobalSat exports mainly to Europe and North America . 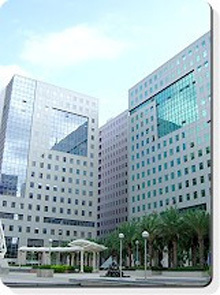 Sales to the North American markets are mainly facilitated in its subsidiary office in L.A., California . Catering mostly to ODM/OEM buyers, most of the company’s products are bundled into the clients’ system products, such as Tablet PC, Note Book and Smart phones. Sales to other regions are mostly achieved through regional channel distributors. GlobalSat has decennial ODM/OEM experiences, provides customization services of electronic designs, system integration and software development to meet customers’special project requirements. With innovation and excellent design, we awarded iF design in 2006 and Macsimum Awards from MacWorld in 2008 for Best Product in the market. GlobalSat has successfully become listed company in OTC in 2006. We dedicate all our resources to expand business productively by continued R&D, Production Management and Sales/Marketing activities achievement worldwide.